When it comes to Disney Dining within the Walt Disney World Resort, you are not going to find better food than at Epcot. Known for its iconic World Showcase, Epcot does not let down when it comes to American favorites and some of the best international cuisine you can ever imagine. Now maybe you are not coming during their flagship Food and Wine Festival or you want to find the perfect meal to cap off the end of the day then this is going to be the list for you! There are two types of dining experiences at the Walt Disney World: quick service and table service. Quick service is going to be your standard order at a register, pick up the food yourself and find your own table. Table service is going to be a regular restaurant service where you are seated and served by a server. Although keep in mind that buffets are included in the table service category including the Disney World character dining buffets. Dining reservations are basically going to be a must. Disney is busy a majority of the year and people want to make sure they have a place to eat. Any table service restaurant is basically going to require a dining reservation. Dining reservations can be made up to 180 days in advance. Make them as soon as possible that way you can pick where you absolutely want to eat. 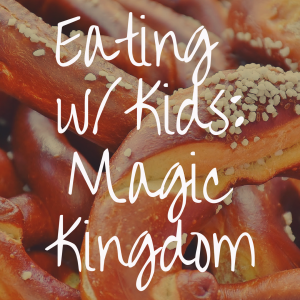 Not all Disney dining plans are created equal so it is important to do your research and figure out which one would benefit your family the most. On the topic of Disney dining plans, for some families it is a huge benefit and a money saver, but for others, not so much. So make sure to use one of the many dining calculators that are out there and do your research to maximize your savings. 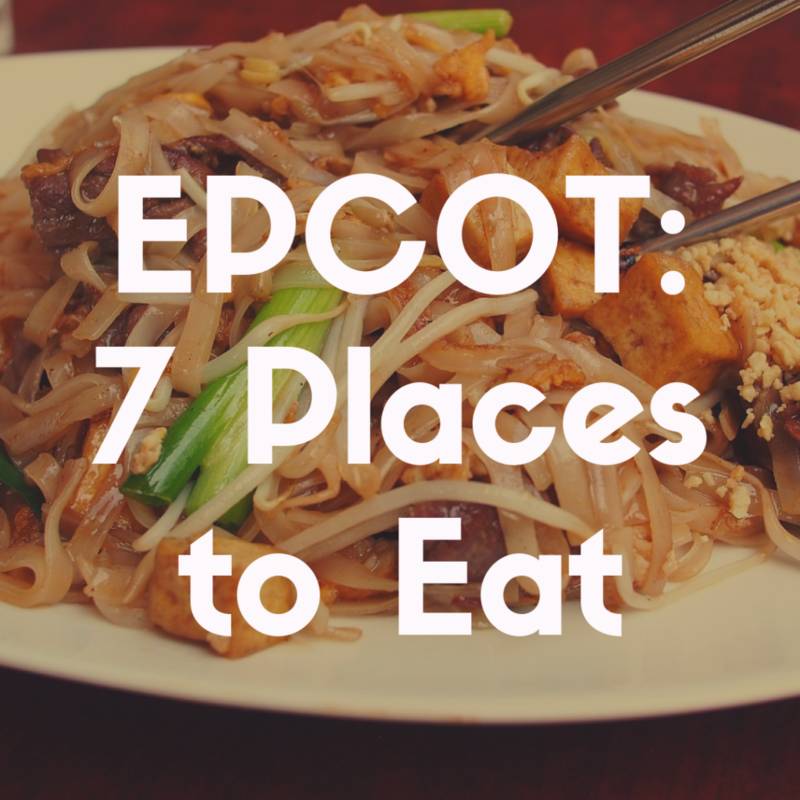 Now we are going to countdown the 7 best places to eat at Epcot to give your tastebuds the adventure of your life! Located in the France Pavilion in Epcot, Monsieur Paul is not only going to be one of the most spectacular views you will see on property, but the food is also some of the best you will ever encounter. 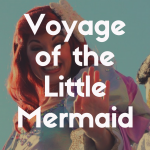 It is a dining experience that will blow you away and probably be spoken about for ages to come when talking about your most magical Disney vacation. The new menu is handcrafted by Chef Nicolas Lemoyne who fine tuned his craft at l’Auberge du Pont de Collonges. You are probably wondering what the importance is? Chef de France, which is also location at Epcot inside the France Pavilion, was opened by Chef Paul Bocuse. His son had a hand in opening Monsieur Paul hence the homage, but Chef Bocuse has been a world renowned and awarded chef for decades. His most famous restaurant is l’Auberge du Pont de Collonges in Lyon, France. When telling the story of Monsieur Paul it is quintessential to know that the food has been designed and crafted by some of the most qualified chefs in the world. Now this particular venue does have a dress code so it is important to remember you cannot wear your average theme park attire when attending, but it is a fantastic way to end cap any night. It is worth two table service dining credits and runs about $34-$59 per adult. Their specialty is classic French cuisine so be prepared and try the Prix Fixe menu. A Prix Fixe menu is multiple courses preselected to satisfy all of your taste buds. Reservations are a must. 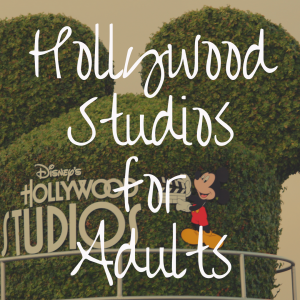 There is never really any walk up slots available and the reservations do go fast, so make sure you try to snag them in advance as early as possible. If you are looking for a meal catered more towards keeping the entire family happy, you best option is going to be the Garden Grill. Looking over the Land Pavilion is a feast fit for only the best of Chip and Dale’s friends. While you dine on American classics, Chip and Dale and their friends are going to make their way around the entire eatery while providing once in a lifetime photo opportunities. The Garden Grill is open for breakfast, lunch and dinner. They have plenty of farm fresh options including a farmer’s salad, pot roast and turkey with gravy! Now this is a small restaurant so dining reservations are strongly recommended and there is no dress code so have no fear spending your days hustling around Epcot all day and then taking a nice air conditioned break filling your belly with food and great memories. This runs about $15 to $59.99 per adult and is worth one table service credit. It is a buffet so make sure you leave lots of room to eat as much as you can! Maybe you have already had your fair share of character buffets and now you are looking for a more authentic experience. Anywhere in the World Showcase is going to give you a flavorful meal, but San Angel Inn Restaurante located in the Mexico Pavilion is going to bring authentic Mexican cuisine right to your fingertips with breathtaking ambiance. Unlike other dining experiences that more notably provide stunning views of the property itself, San Angel is located completely inside the Mexico Pavilion and brings your right into the heart of Mexico, totally forgetting you are even in Epcot. And the food is divine. Some of their highly recommended dishes include their tortilla soup and any of their steak dishes. Now the meal is worth one table service credit or $15-34.99 per person. There is also no dress code so came as you are in your theme park best. Once you are done eating make sure to hop on the iconic boat ride through Mexico with Donald and his pals. Just make sure you snag dining reservations because it does fill up quickly being inside a theme park. Located over in the Italy Pavilion is a restaurant known for not only the stunning appearance of bringing their guests right into the heart of Italy but also the sights and smells of Southern Italian cuisine.. They are known for their delicious risotto balls and wood fired pizzas. If you decide to have your dinner here make sure you cap it off with some of the most mouthwatering Italian desserts. It has been voted one of the best themed restaurants by local newspapers and it will live up to its reputation. This is going to some of the most authentic pizza you will ever find available in the United States so take advantage of that chance. There is no dress code so do not hesitate spending your entire day inside the theme park or just taking a lunch break here. You will fit in with your theme park best on even during the hot summer. This is worth one table service dining credit or $15-34.99 per adult. 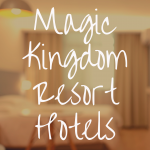 Reservations are also strongly recommended due to the high popularity and excellent location inside the theme park. Next, we make our way over to Japan Pavillion to the iconic Teppan Edo. You cannot miss this location because it is up a grand staircase and the smells fill the entire pavillion. Here you will be to engulf yourself with spectacular authentic Japanese cuisine prepared in the traditional teppan cooking style. You can have either you chicken, steak or whichever else you chose prepared right in front of you and then served with noodles. It is a show within your meal! It would also never be a Japanese meal without some sushi, so if you are a fan, this is a must do. There is no dress code so once again come as you are, but make sure you do have dining reservations because it fills up fast! This is worth one table service dining credit or $15 to 34.99 per adult, but well worth the price. Sit back and relax while overlooking Epcot. 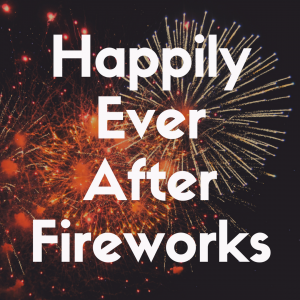 This is also a highly recommended location to watch the fireworks while you eat! Now maybe you do not want to stick exclusively to table service restaurants while spending your time in Epcot, well have no fear because there are also spectacular quick service options as well. Over in the France Pavilion you will find one of the most highly rated quick service meals on Disney property. Here not only will you be able to receive some delicious authentic French desserts, but also soups, baguettes and salads. This is going to worth one quick service dining credit or under $14.99 per adult. It is well worth the price and located snuggled in the back of the French Pavillion, it really brings you into the heart of Paris. France has a reputation of being the gold standard of cuisine, and with both table service and quick service options, everyone has the chance to indulge. You never need dining reservations when using quick service so do not feel the need to pre book anything. There is never a dress code either so come as you are. Also, now with mobile order you can preselect your meal and before it before you arrive. Once you get there you can just grab your food and a table and you are all set! If you have a family who can never be on the same page with their taste buds then Sunshine Seasons is going to be one of the best locations you can find. There are multiple stations with varying cuisine to appeal to even the pickiest eaters out there. This is a quick service location located in the Land Pavilion with plenty of seating and with open air cooking, you are going to be able to smell every flavor you can possibly imagine. There have selections from traditional American cuisine to Asian flavors, plenty of desserts to pick from and a full service drink area. Remember you are not going to need any dining reservations to eat here, so whenever it fits inside your schedule just make your way over to the Land and begin your meal. Now not only will you find multiple eateries inside the Land Pavilion, but you will also notice there are two popular attractions located inside as well: Soarin’ and Living with the Land. This is incredibly convenient if you have fastpasses for either attractions or are waiting for the rest of your party who may be spending their time in line. Either way it is a great way to spend some time and eat some food during your long days in the theme parks. There is no dress code to dine here just like any other quick service location and it is either worth one quick service credit or is $14.99 and under per adult. So there you have it! The seven best places to dine while spending your day in Epcot. Now make sure you decide beforehand what the needs of your family are and what your budget is. This is really going to guide you when deciding how many quick service and table service meals you will have each day. Also, make sure you are well aware of everyone’s culinary needs and wants for their magical vacation. The golden rule is always going to be to make sure you book your dining reservations for any table service restaurants as far in advance as you can. Because you can book them 180 days in advance make sure when you book your fastpasses that you are paying attention. You never want to double book yourself or book anything too close together for your own sanity during your busy vacation. Other than that, make sure you find your top picks, get your fingers ready and book your dining reservations then wait until your vacation for a feast your tastebuds will never forget!